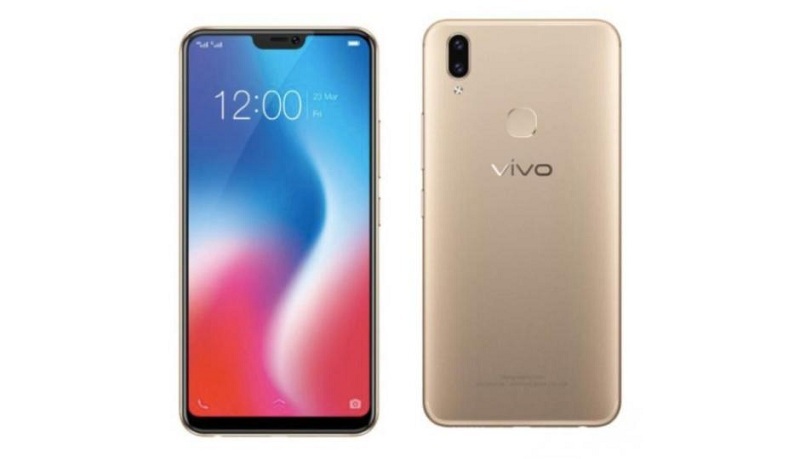 Vivo is an international technology Smartphone made the company which introduces latest technology Smartphone’s having incredible new feature and specifications. Today the Smartphone about which we are going to tell you is latest VIVO Y71. Vivo has launched the latest Vivo Y71 with new fabulous feature and specifications. Vivo Y71 has got the full widescreen of 6.0”. This wide screen enables the user to use the Smartphone for many purposes such as to watch movies with a wide angle and much comfort as compared to other ordinary Smartphone. Also, the user can play the latest games due to its widescreen. Smartphone has the full HD & High-Resolution screen display of (1440x720HD+). Another fabulous latest feature which is added in this Smartphone is the 18:9 FullView™ screen display of this Smartphone which makes its pixels more clear and the screen of Vivo Y71 show more HD result and more clear content as compared to other Smartphones in very low cost. 18:9 FullView™ display of this Smartphone polish the grace of this Smartphone and make it unique. The Operating System of Vivo Y71 is fast & latest addition. It is the latest Fun-touch operating system 4.0 based on Android 8.1 OreoTM which makes the performance and all the software of Smartphone’s perfect. Its operating system is the latest and perfect for the gamers and to internet access. Vivo Y71 has got the Qualcomm Snapdragon 425 processor. This processor is faster than older ones and increases the performance of Smartphone. The whole working and good performance of Smartphone depends upon the right working of the processor of the device. Hence the perfect processor gives the awesome result and fabulous working of Smartphone. HD camera captures the HD pictures which looks clear and perfect. Therefore the latest Vivo Y71 has also the full HD cameras on both sides back & front of the Smartphone. The Smartphone has the 5M front camera to capture the HD selfies. This Smartphone has also HD 8MP Rear camera on its back to make videos and to capture full HD pictures. Vivo Y71 has 2GB of RAM which increases the speed of Smartphone and makes it easy and faster to use. Smartphone has also 16GB of internal storage which is enough for any social services used to save pictures and videos in a larger quantity in the Smartphone. The smartphone is also able to support 256GB of SD card. Vivo Y71 is slim and smart having very less weight of 150 grams. This less weight enlisted this Smartphone in the list of very light Smartphone. The body of this Smartphone is unique as this Smartphone has a minor curving body shape which makes its user to easily handle the Smartphone. This Smartphone is dual SIM & 4G supported. This feature makes the Smartphone to easily connect the user to the internet and to access the internet very quickly. Good battery timing is the main requirement of the user of a Smartphone. A Smartphone having good battery timing is counted in perfect and awesome Smartphone’s and ranked in the good position. If we talk about the battery timing of latest Vivo Y71 then its battery is really best. This Smartphone has a high capacity battery of 3360mAh which enables its user to use the Smartphone for hours without any pause. Vivo Y71 is available in 2 delightful and attractive colors. These colors include Black and Gold. Both of these two colors look perfect in the hands of Smartphone user. Smartphone Vivo Y71 is available in the markets of whole Pakistan at a very affordable price of Rs. 17,999/- only. This price is very affordable as this Smartphone has many fabulous specifications. A smartphone will come with its one year warranty.